Touch Panel/Touch Screen Manufacturer- Industrial/Automobile/Multi-Touch type- Super Elite Technology Co., Ltd. The construction of general analog inductive entering device is structured by analog film of top and bottom layers (diagram一)that means it is formed by X layer, Y layer and one piece of controlling circuit board, on the X layer analog film, there is a pair of electrode connected by analog film spreading alongside the direction of X axis, that is X+ and X- electrode separated at the sides of X layer analog film, on the Y layer analog film, there is a electrode connected by analog film spreading alongside the direction of Y axis, that is Y+ and Y- electrode separated at the sides of Y layer analog film, adding fixed voltage at one side of electrode on the two layers of analog film, touching any point at the appearance of two layers of analog film, measuring through electrode at another side without electrification and getting a voltage value from two pieces of analog film be touched, then can get X and Y coordinate of touching point. No limited to touching medium because it induces by pressure, it can be operated no matter with hand、pencil，credit card, stick...etc. that also can work even though wearing glove. The main environment must be in no limited to touching medium or wearing glove, for example: surgical table monitor, automatic ordering system, PDA, electric dictionary, cell phone, logistics system, stock system...etc. Adding a even electric field at four endpoints, RT, RB, LT, LB to make the ITO glass of the bottom spread a even voltage, the top layer is signal-receiving device, when pen or finger touch any point of appearance, the controller detects that the electrode changes and then switches coordinate. No limited to touching medium because it induces by pressure, it can be operated no matter with hand, pencil, credit card, stick...etc. that also can work even though wearing glove. The main environment must be in no limited to touching medium, bad environment or high touching frequency, for example: POS system, industrial control, automatic ordering system, traveling guide system...etc. that is not easy to cause interference. 2 point fixed positions The highest linearity error for Touch Panel is 1.5% that means whatever coordinates X or Y the linear error is both lower than 1.5%. Excellent linearity Touch Panel the linearity error could control above 1.0% and coordinates X or Y the linearity error is almost 0%. It could be accurate to show sign location if using 2 point fixed positions. Mutil-point fixed positions During the Touch panel product process, due to the process mistake or product isn’t stable to make linearity error is over 1.5%, this needs to use 16 or 25 fixed positions program to proofread and correct the highest error with the unqualified product by Data Base System or Mathematic Calculate to compute. This way is obvious to show out the Touch panel linear is bad and needs the software to revise and recover the unqualified linear. With the popularity of car built-in VCD/DVD and GPS, Touch Panel is applied to car more and more common, generally the specification of car-using touch panel in the market is between -40℃ to 85℃ ,but is the temperature inside the car only 85℃ ? According to actual testing data from car manufacturer, the hotspot temperature on instrument board even reach 105 ℃ high while park the car under the non-shade burning sun in summer that is why the cassette tape and CD inside the car is roasted deformed. Therefore the highest temperature inside the car is not only 85 ℃. Car stereo and DVD can work normally while the temperature inside the car goes down from 100 ℃ high to room temperature. But is your Touch-Video System is still normal? Could it be said the car we bought has limitation on use? Is only suitable for the zone between ± 20° above and ±40 ° below of southern and northern latitude of earth? 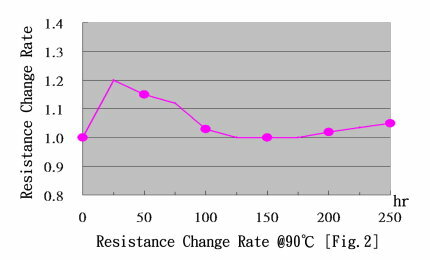 The accuracy of Super Elite’s car-using Touch Panel can still reach 99% high (The tolerance of linearity is under 1.0%) after 100 cycle of Thermal shock -40 ℃~110 ℃.It is a reliable product for you. 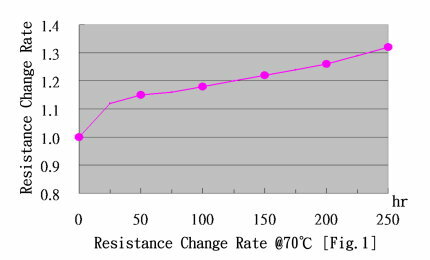 For Touch Panel, the most important feature is touch accuracy, the average linearity standard is 1.5% of, but the touch tolerance of Super Elite’s car-using product is still under 1.0% even though after Thermal shock -40 ℃~110 ℃ 100 cycle, high temperature 100 ℃@240hr,lower temperature -40 ℃@240hr.As the structure of Super Elite’s car-using Touch Panel is Film/Glass that is much safer than Glass/Glass, when accident occur , people would not be hurt due to the break of upper Glass, therefore have the feature of anti-explosion and the touch sense of Film/Glass is better than Glass/Glass as well. With the popularity of global computer information ,Touch Panel have become inseparable equipment. 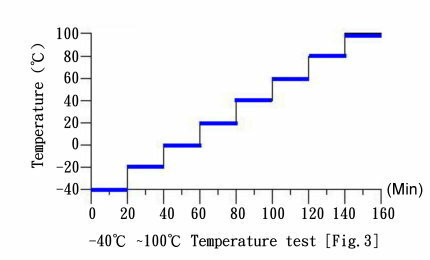 The operating temperature standard of touch panel is mostly set between -20 ℃~70 ℃,Super Elite have developed car use grade touch panel in accordance with the persistence and specialty that the operating temperature can reach as high as the boiling point 100 ℃ and as low as -40 ℃ subzero, and the linearity tolerance is still under 1% after operating 240 hours continuously. In general, touch panel is judged by linearity 1.5%.Is it the excellent panel for 99% linearity ? Of course not, according to actual testing data from ITO film & Glass with temperature changed. 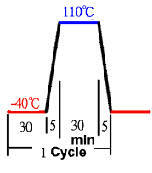 ITO material resistance will be changed according to the time and temperature (Fig.1)(Fig.2). The point of touch will be shift moving away from the right position. linearity testing is not the all for the panel. 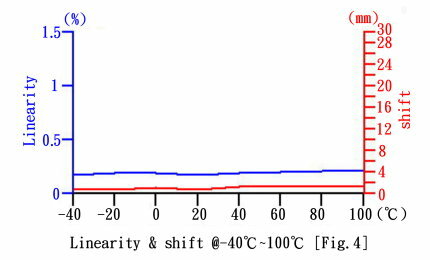 Super Elite's touch panel for automobile can be operate in the temperature range -40℃~100℃(Fig.3)(Fig.4), and no shift. It is a real reliable product for automobile. If you install automobile Touch Panel correctly, but touch panel does not work normally at -40 degrees or boiling point 100 degrees. Please check all of the components that are on your motherboard or control board. Are the components working at the range (-40 to 100 centigrade degrees)? If not, please choose the correct IC, transistor, crystal oscillator, resistor and capacitor …..etc.